Hydropower – the forgotten renewable? Despite the many advantages of this super-sustainable form of generation, no large to medium-head hydropower projects in England, Wales or Northern Ireland currently have the green light. Changing government policy has made it more difficult for hydropower schemes to go ahead – apart from north of the border, where it appears to have more political support. Hydropower has been embraced with gusto in Scotland, and all of Britain’s 27 new hydropower projects, with a total capacity of 58.5MW, will be developed there, adding to Scotland’s existing 145 hydroelectric schemes. There are multiple reasons why hydropower is such an attractive source of energy – so what is it the Scots are doing right, and why is hydropower faring so poorly south of the border? Hydropower’s success in Scotland is partly due to geographic reasons including the abundance of reservoirs, dams and rivers available from which to harness power. Moreover, the Scottish government has backed the technology and encouraged the development of several projects. Innovative development models have also emerged. For example, last month Albion Community Power secured nearly £5 million from the UK Green Investment Bank (GIB) to develop two new community-scale hydro plants in Scotland, which will generate about 2.8GWh of renewable electricity per year. In the rest of the UK, however, hydropower has been set back by a combination of government policy and a looming skills gap, as attention focuses on the better known renewable technologies of wind and solar. The latest wave of changes in government policy came in the review of feed-in tariffs (FITs) in December. This saw the support for hydro schemes cut, with the tariffs available to hydro in the 100-500kW band being slashed from 9.78p to 6.14p per kWh as the government attempts to scale back spending on subsidies to renewables following a £1.7 billion overspend of the Levy Control Framework. This move was partly made because hydropower, despite being around for more than 100 years, is still a relatively expensive technology. Figures from the Department of Energy and Climate Change (Decc) state large hydropower schemes have a levelised cost of £106/MWh, with smaller schemes costing up to £196/MWh. This compares with combined cycle gas turbines (CCGTs), which have a levelised cost of £80/MWh. The rest of the UK is home to a few low-head hydro projects, including most recently, the Thrybergh scheme near Rotherham which officially opened in October last year. Since 2014 though, rapid reductions in the Feed in Tariff has meant that low head hydropower, with its high construction costs, is at risk. British Hydropower Association (BHA) board member Mary Drury laments what she sees as Westminster’s short-sightedness, telling Utility Week: “The hydro industry appears to be misunderstood by the Westminster government; it is particularly disappointing that Decc has reduced the FIT to a level below which we can actually deliver. A modern hydro turbine generator can convert more than 90 per cent of the ­energy in available water into ­electricity. Hydro installations can have a useful life of more than 100 years. There is currently 1,649MW of hydro capacity in the UK. There is a further 2,788MW of pumped storage capacity. 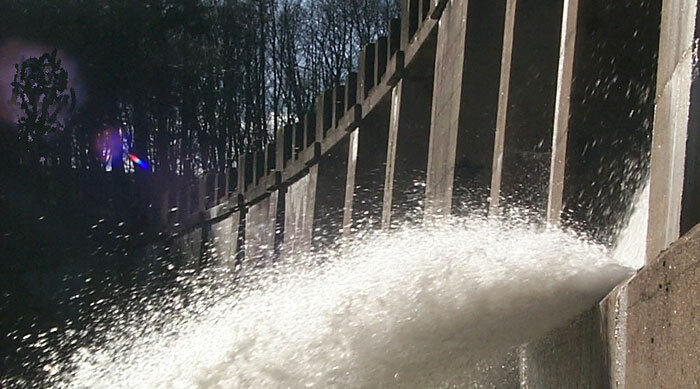 The UK currently generates about 1.5 per cent of its electricity from hydroelectric schemes. The UK has an estimated remaining viable hydro potential of 850 to 1,550MW. There are fears a skills gap could also threaten hydropower projects if development within the sector dries up as the result of a lack of government financial support. Drury adds: “Once an industry has been crushed, it will be very hard to bring it back. This is all the more disappointing, Drury says, because hydropower has the potential to be “massive” with upcoming construction resulting from the two-year pre-accreditation period, but that Decc policies leave it “facing a cliff edge”. This preliminary accreditation means investors aren’t surprised when tariff rates are reduced and the project can attract the tariff applicable at the time before construction has begun – but the government is proposing to remove this protection. The UK government has a target to halve its carbon emissions by 2027, so is looking to low-carbon technologies to plug the gap that will be left when high-carbon plant – such as coal – goes offline. Decc also sees a role for hydropower, estimating there is a remaining viable hydro potential of 850 to 1,550MW in the UK. The technology is scalable, and a number of new developments are happening at small and medium scale; it is proving to be a popular choice for community energy projects. In comparison with regions such as Latin America where hydropower can account for 90 per cent of the energy mix, the UK’s water resources to harness hydropower are limited. But community projects such as Albion Community Power’s look set to pave the way for hydro in the face of subsidy cuts and ever-changing regulations for the renewables sector. A renewed focus from government and further innovation from the sector could see it have an important role in the UK’s energy mix, both as a generation and storage technology. After all, if Scotland can do it, why shouldn’t the rest of the UK?